India has the largest postal network in the world with over 1, 55,015 post offices. A single post office on an average serves a population of 7,175 people. 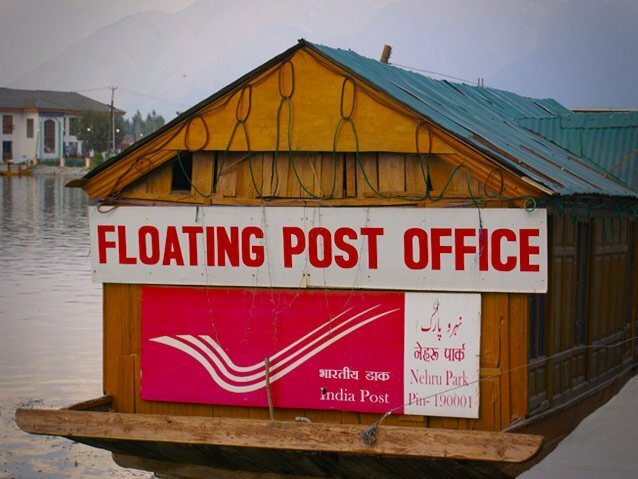 The floating post office in Dal Lake, Srinagar, was inaugurated in August 2011.